U.S. Highway 83 travels through Pierre and Fort Pierre on its way from Canada to Mexico. 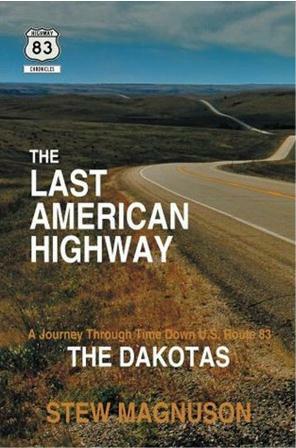 Award-winning author Stew Magnuson takes readers on a trip down the road and through the history of the Northern Great Plains in his book "The Last American Highway: A Journey Through Time Down U.S. Route 83: The Dakotas". Magnuson will be traveling U.S. Highway 83 again when he is in Pierre on Thursday, April 24, for a book signing. The book signing will take place from 11:45 a.m. to 1:15 p.m. at the Heritage Store on the first floor of the Capitol. Copies of the book are available in the Heritage Stores at the Capitol and the Cultural Heritage Center.